small, cute, and sound great! RED only $199.95 retail plus Free Priority Mail Shipping - plus JitterBug for half price! Hi-Fi + review: "the Audioquest Dragonfly definitely has the ‘wow’ factor." Stereophile's Computer Audio Component of the Year, and Budget Component of the Year for 2012! "You know what I like more than the sonic improvements? 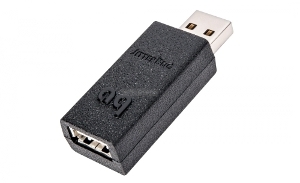 The price: At $149, even the most cash-strapped of music lovers can afford this DAC." Robert Harley in the October 2012 TAS, "AudioQuest's $249 DragonFly USB DAC is brilliant in every respect..."
Art Dudley in the October 2012 Stereophile, "I can think of no more recommendable product in digital audio." Hi-Fi + Accessory of the Year! "more authoritative, better controlled, and more natural sounding music and voices"
Hi-Fi + review: "more realism, live sounds more 'live'"
looking to improve their experience of listening to music over USB." "If you are the kind of headphone listener who spends many hours tethered to your cans and, often by the end of the day, you are left with the feeling that your ears are somewhat fried even though you are using high-performance headphones coupled to a high-quality headphone amp, the AudioQuest NightHawk headphones could be a better sonic and ergonomic option." 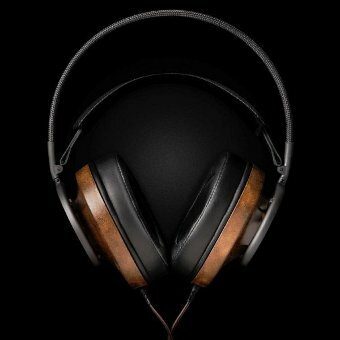 The NightHawk is technically innovative, beautifully made, and engaging to listen through. Its ergonomic design offers excellent long-term comfort, meaning listeners can wear the headphones for hours on end without a hint of fatigue. At the end of the day, the NightHawk is all about getting the ‘feel’ of the music right—in the process revealing the deep, sumptuous, and at times mysterious qualities of fine music." AudioWaves carries the entire AudioQuest line of cables and accessories. Contact us for great service and prices.